El Paso, it was love at first bite. After arriving late and missing dinner, having breakfast was our first Texas task. 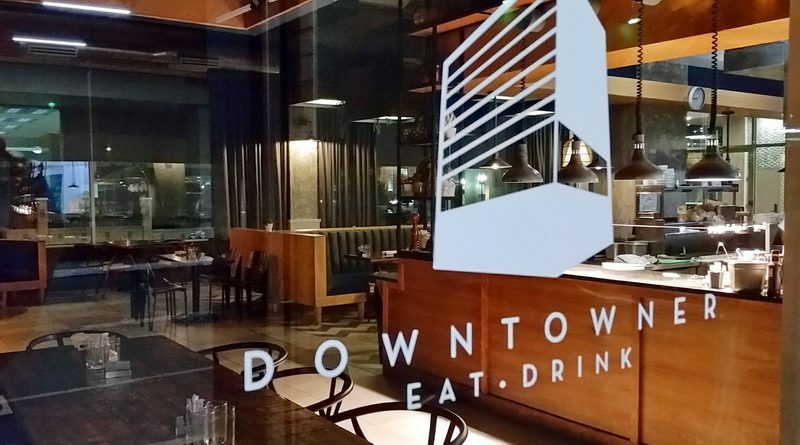 We found deep mugs of coffee and a meal worthy of any hungry traveler at the Downtowner Restaurant. While I opted for a Rancheros Omelette, my sister ordered the Salmon toast. My tummy was jealous! Food is a big part of any adventure. As I was soon to discover not all is Tex-Mex in El Paso. Here’s some of the best places to bite and sip when you’re in the area. A relaxing and spacious dining room with just the right touch of elegance, the Downtowner became our go-to spot for meetings and snacks. The nooks and booths were tempting to linger in but we had much to explore in El Paso. So lucky! We almost missed seeing the Dome Bar inside the historic Camino Real Hotel. Here’s a short video about the experience. 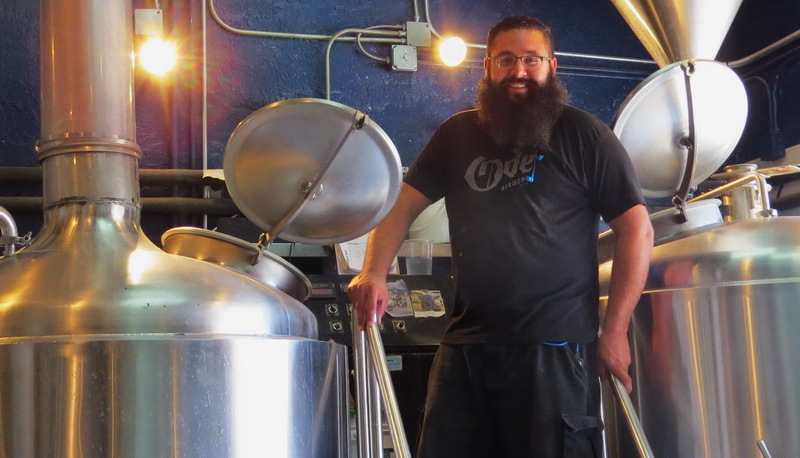 Yes, El Paso has it’s own craft brewery scene! I fell for the smooth, nutty Abuelita Stout that Dead Beach Brewery creates. Infused with Pecaho Coffee, it was spicy and sweet – just like hug from Grandma. The brewery is just a year old and unfortunately for me only open on weekends, but several bars carry their variations. Ode Brewery is out in the University District. Bags of spent hops sat near the brewery door as we stepped towards the restaurant. The place is comfy, simple and authentic. There’s no doubt that the owners are fanatical about their passion. Loved the ‘Spoliated Barley Water’ Menu featuring seasonal beers and recent releases. 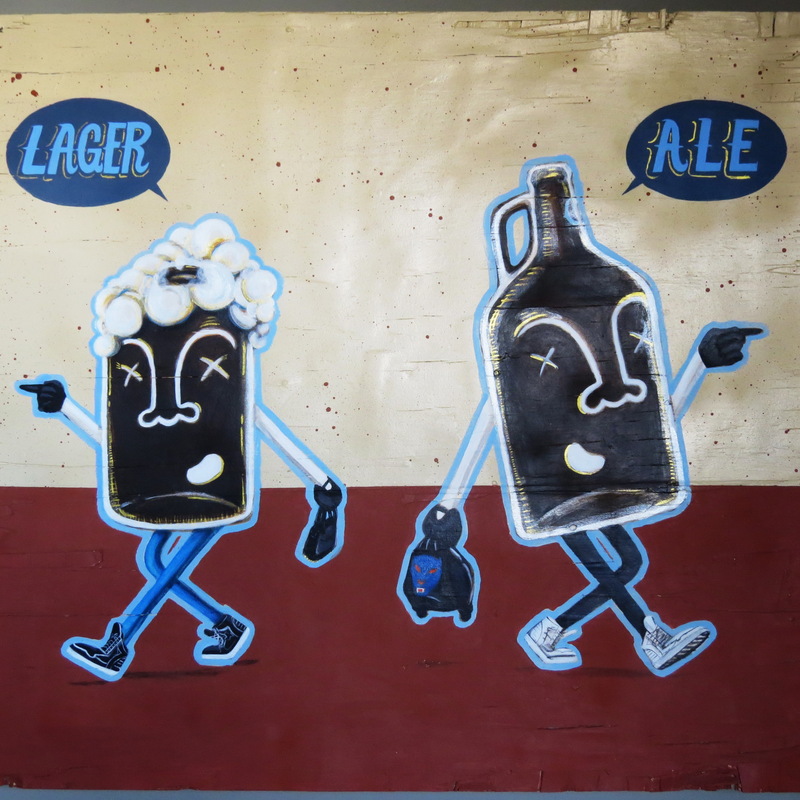 La Gringa, their American Blonde Ale, is worth importing (Hear that, San Diego?) Look for the label across the country soon as the distribution ramps up. 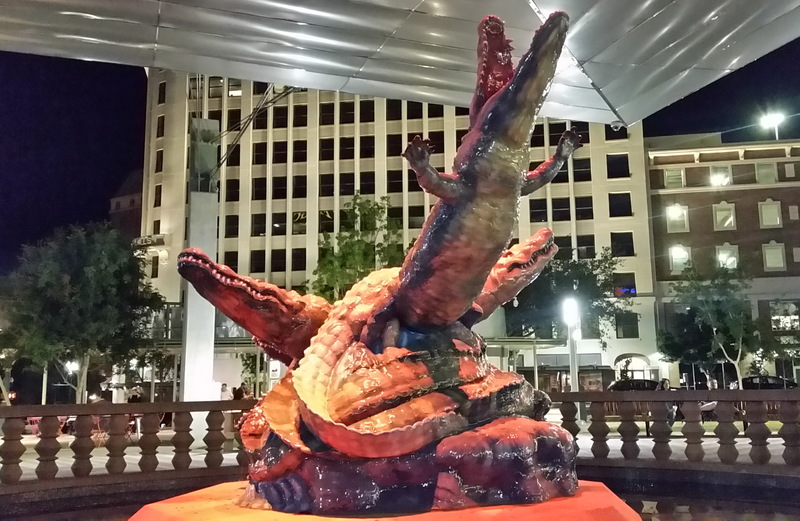 No visit to El Paso is complete without seeing the Alligators in San Jacinto Plaza, the historic heart of downtown. The statue rises from a central pool and shifting lights flicker across the behemoths. In the 1950’s seven live Alligators lived in the pond. Shennaigans eventually led to them being moved to the zoo. Rumors continue about the Alligators showing up inside the Tap Room bar across from the plaza and other spots around town. Today the neighborhood hang out hosts live Jazz and a full bar. No Alligators in sight. A friendly spot around the corner from Hotel Indigo, Craft and Social hosts local and state wide brews, a tasting menu and live jazz. The happy hour specials are not to be beat. El Paso has it’s own wine region and we sped out of town to check out Vin Valle Winery. The shop is hosted by the owners and the barrel room is worth seeing with the lengthy, hand painted table in the center. It matches the cheery and cheeky label designs too. Finding local coffee hangouts is tantamount on my tourist list. 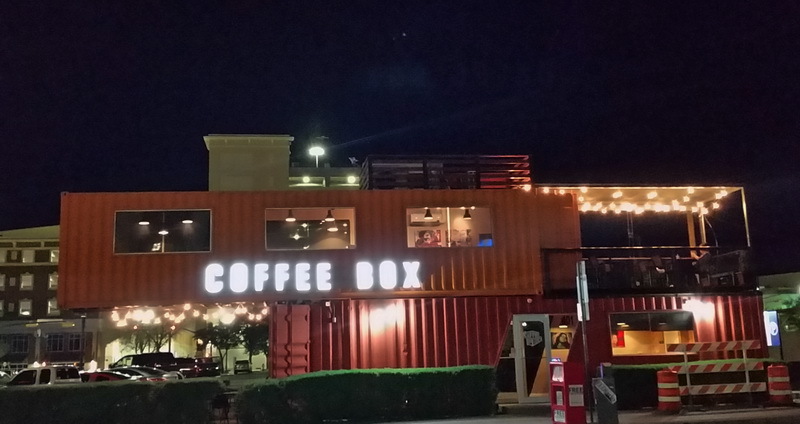 Downtown, the Coffee Box rises from the edge of a parking lot. 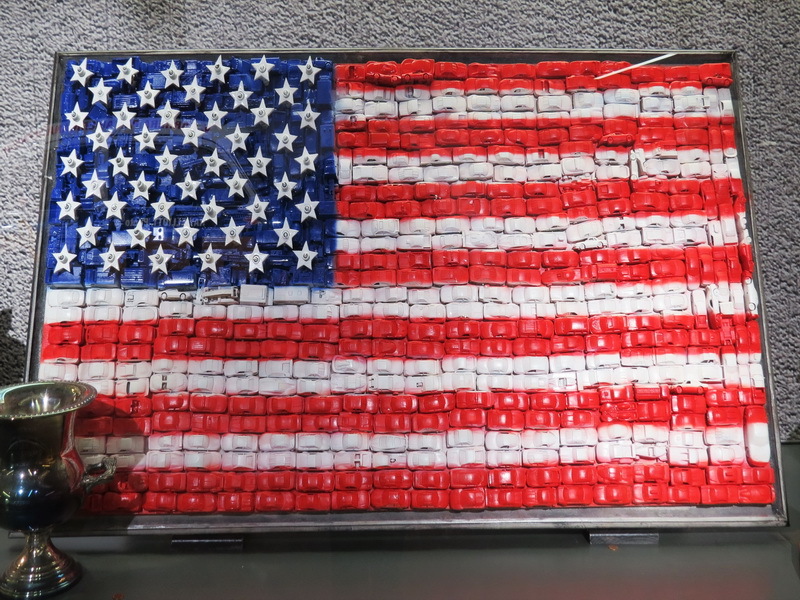 Made out of cantilevered box cars, a nod to the history of the railway in El Paso, the Box is open early to late. There’s WiFi and compact lounge areas indoors and out. The University District has a new development brewing with housing, shops and restaurants. I found the Hillside coffee house a nice spot to cool off and check email for a few minutes. The shops carry local goods. 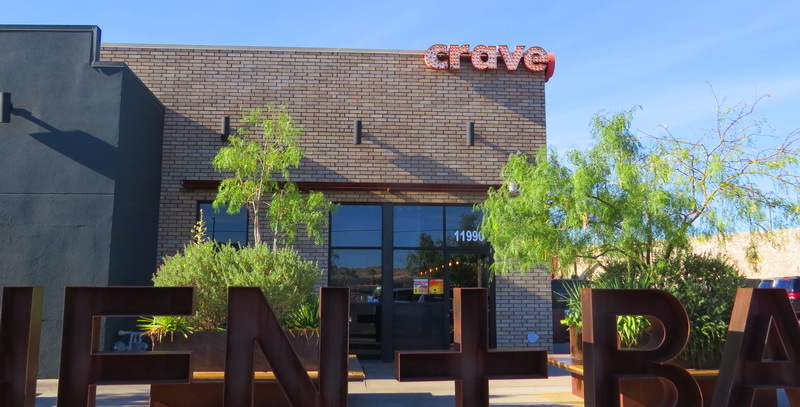 With several locations in the city, we decided to visit the east El Paso location of Crave Kitchen and Bar. Chiliquilles to die for, a playful interior, patio and deeply upolstered bench seating and bottomless coffee – I only wish we were there long enough to dig into a meal at each location. The locations are open for breakfast through to dinner. In the central downtown district, this elegant Bistro focuses on the finer things from table to decor. Cooling sprays keep the sidewalk diners comfortable. Wanting a light dinner I focused on the soups and breads. My sister had a salad and we were thorougly satiated. A mighty painting of the restaurant’s namesake, Anson Mills looms over the space. 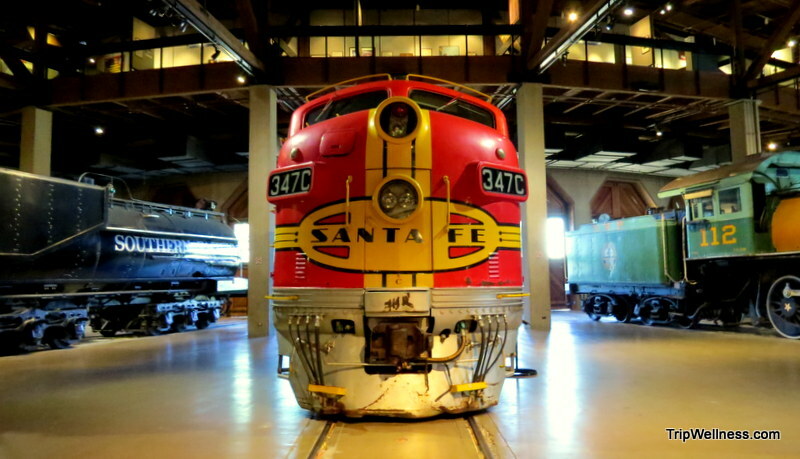 His local roots run deep as a United States Army officer, surveyor, inventor, and entrepreneur who even named and laid out the city of El Paso. 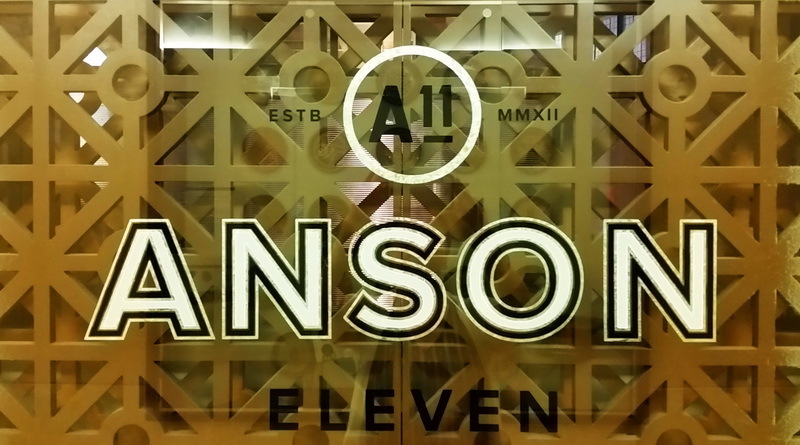 There’s nothing stuffy about Anson 11 with it’s trippy artwork juxtaposed with a librarian’s sensibility! Infused liquors, tapas and regional flavors kicked into high gear – that’s Tabla. 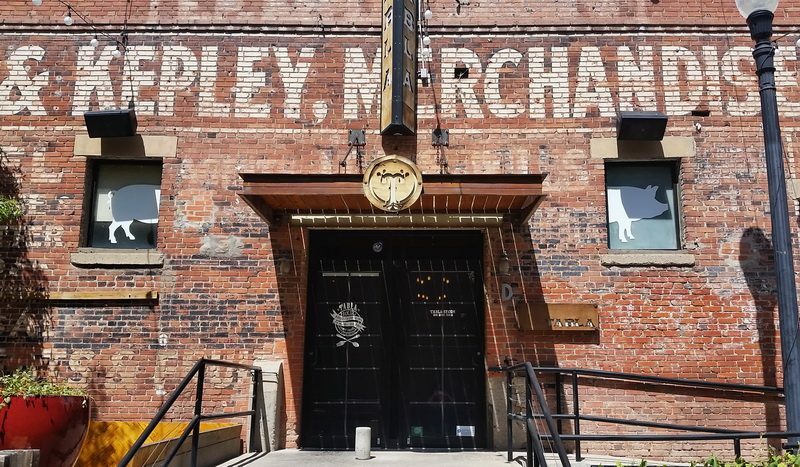 Tucked into the warehouse district close to the stadium, generous servings and one of the best meals I had in the area. No visit to El Paso would be complete without enjoying Tex-Mex. We had platefuls at the east side restaurant, the Riviera. Satisfying, casual and full of locals. Even though I’m not a big red meat eater, I couldn’t leave Texas without indulging in a bit of steak. I only wish we had more daylight hours at Cattleman’s Steakhouse. The ranch has had lots of media attention; you’ve seen it in TV shows and movies. There’s a petting zoo and odd animal collections to walk around. The sunset views are some of the best – especially enjoyed over dinner. I had an appetizer of tender ‘beef cubes’ and it was perfect. No salads though on the menu! 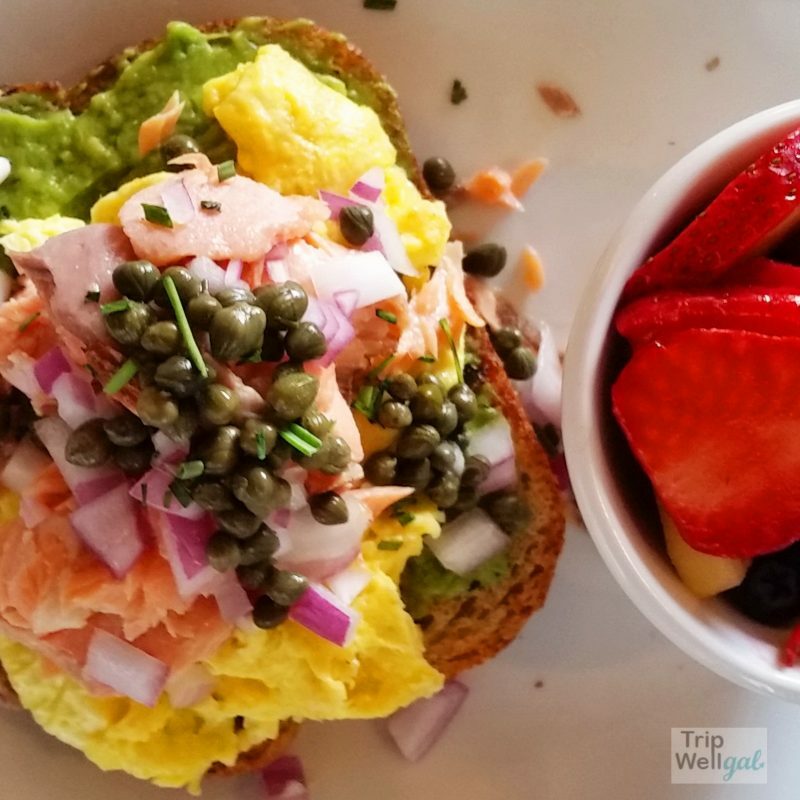 How Paleo can you go?! 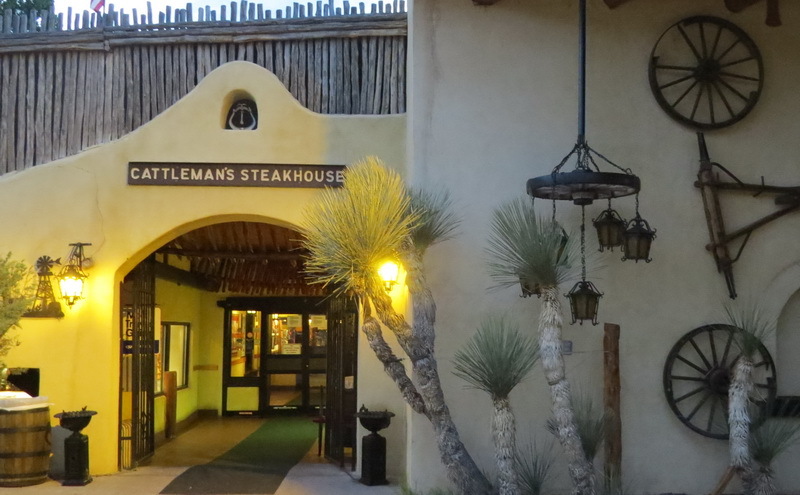 Cattleman’s Steakhouse: East of town but well worth the drive. Famous for steaks, movie sets and animals. Dome Bar inside the Camino Real Hotel: Historic decor and fine drinks. Dead Beach Brewery: Promising new brewery in downtown El Paso. 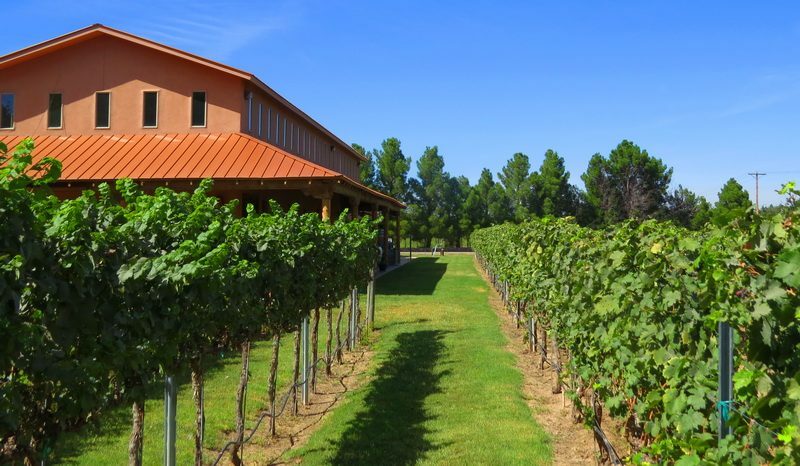 Vin Valle: Family run tasting room in the panhandle vineyard region. Tap Room: Neighborhood Bar with jazz nights across from San Jacinto Plaza Alligators. This trip was made possible by the El Paso Visitor’s Office. I thank them for pointing me in the right directions and helping me discover El Paso. All opinions are always my own. What a great post. I particularly like the fact that places serve local produce and I would not mind a visit to the Ode Brewery. Thanks, Tandy. El Paso is full of tasty surprises. There is also an authentic Japanese eatery in El Paso called Matsuharu Japanese Restaurant on Hercules. I’d love to visit Matsuharu in El Paso one day. I had no idea El Paso had so many diverse tastes to discover. I loved the video on the Dome Bar we’ll have to give El Paso a visit. Thanks, Sue. Glad you liked the video on the Dome bar. It’s incredibly beautiful and I hope you get to see it with sunlight streaming through. Sounds like a pretty cool place to visit. I wasn’t quite sure about the petting zoo at the steak restaurant! Interesting combo. The petting zoo was on the ranch grounds! It wouldn’t be a good idea inside indeed! Elaine, you are such a tease! I kept scrolling thru the post and it kept pushing all the right buttons. Great craft beer, wine, coffee, food. The only thing missing was chocolate. But I’m sure I’d find some somewhere. Thx for enticing me to return to El Paso. Dear Doreen, I had a hankering for chocolate the entire trip! Could’ve picked some up but as it turned out I never had room for dessert! Honestly, I hadn’t really heard great things about El Paso. I have a few friends that were stationed there at some point or another. But it seems like the foodie scene is growing? I had no idea there was a vineyard, so that in itself is pretty cool! There’s a huge military base on the outskirts but I was told they have so many amenities inside that they don’t venture into town much. Their loss, sounds like. Yes, the vineyard(S!) are very cool. 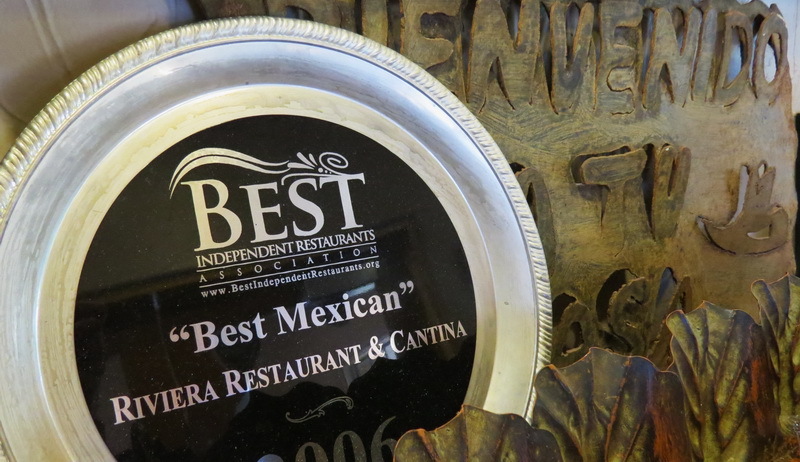 What a great food scene in El Paso! Such wonderful places to eat and drink and some cool artctitecture as well. The Coffee Box looks so unique. I love craft breweries and the Abuelita Stout sounds delish. El Paso sounds like a great place to visit! I have only visited San Antonio and Dallas in Texas but loved it. Definitely looks like an amazing foodie scene here though. Another one to add to the list. Thanks, Anne. Lots of delicious-ness to explore in El Paso. Yum! I didn’t realize that El Paso had so many delicious options. Even though I’ve lived in Texas for practically my whole life, I’ve never been to El Paso. It’s such a long drive away! It’s a huge state! I hear you about the long drive. 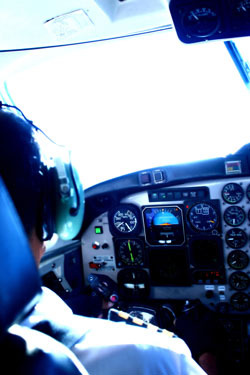 Flying in and out of El Paso made it easy with new airline options. I hope to see more of the state one day. Ode Brewery would be first on my list to visit – just to shake hands with such a charismatic master brewer ;). And, frankly, I prefer alligators statue to meeting them in person. Albert is pretty sweet indeed. Ode is a great brewery too. Alligators surprised me in the middle of El Paso but truly I was glad the live ones have moved – on for us and for their well being. Wow. There is a variety of choices from high to low end, from urban ones to outdoor ones. Thanks for the introduction and I will check your list when I am visiting Texas!! Lots of choices throughout Texas. I hope you get to explore them one day. Great, now I want Tex Mex and I’m stuck in Florida! Everything looks great! Sorry, Mags!! Seek and ye shall find. Haha, I feel like “shenanigans” is a nice way of saying the alligators almost ate a few people. That statue is ridiculous though, worth the trip just to see it! Not sure if the alligators or the locals were up to no good, actually. Lots of myths around where the beasts showed up. The statue is something to see! El Paso would have been love at first bite for me too, Elaine. 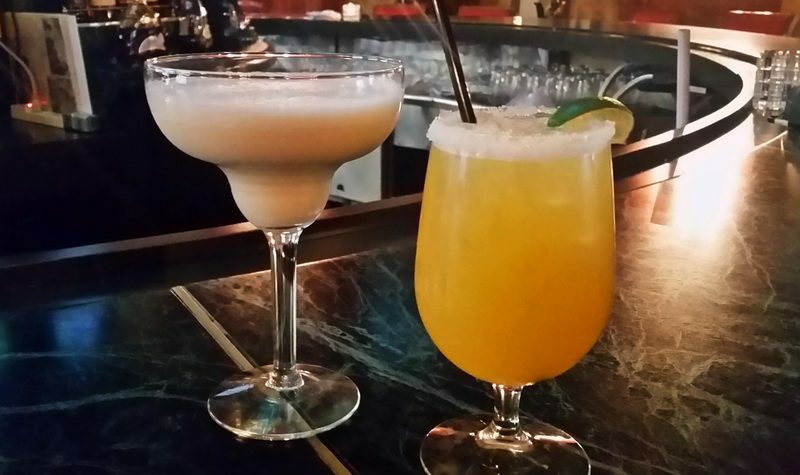 With tapas and Margaritas like that, no wonder you can fall in love with their food. I’m surprised to see such fancy restaurants there. I’m sure their beef is excellent. El Paso has sophisticated options and fast food worth tasting. The hotels in downtown are having a renaissance and I’m excited about the future for the region. The food and drink options in El Paso look heavenly. I’d love to pay a visit to Ode Brewery and try this La Gringa that you speak of. Thanks for putting together such a comprehensive list, will be sure to refer back when visiting El Paso. Thanks, Heather. Couldn’t help raving about all the delicious discoveries in El Paso! 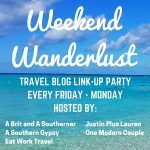 So many fabulous places to eat and drink in El Paso, and so diverse too! I honestly thought of the El Paso food scene as only Tex Mex, but you’ve opened my eyes to much more! I can’t recommend the Hotel Indigo in El Paso enough. So comfy, contemporary and each food/drink experience was stellar. 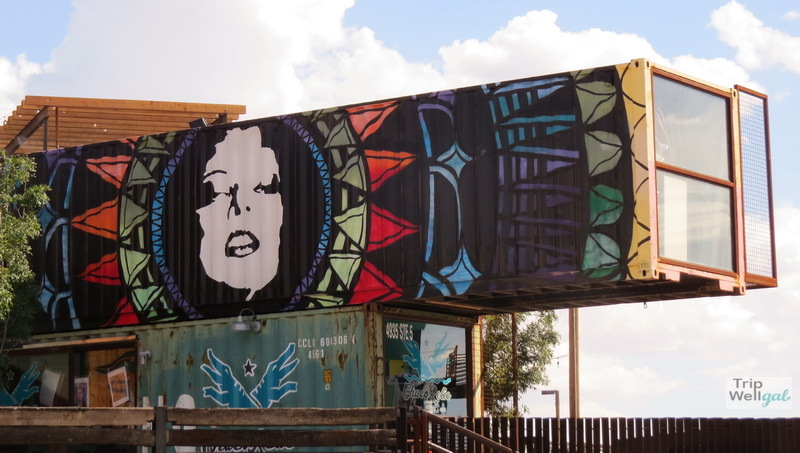 These places all look super funky – and my favorites are the converted shipping containers at Coffee Box – so arty! And there is a winery too – I’m sold! The winery is one of several on the Vin Trail. The way the state boundaries were set most of them are in New Mexico, so much more to explore than Vin Valle and close. 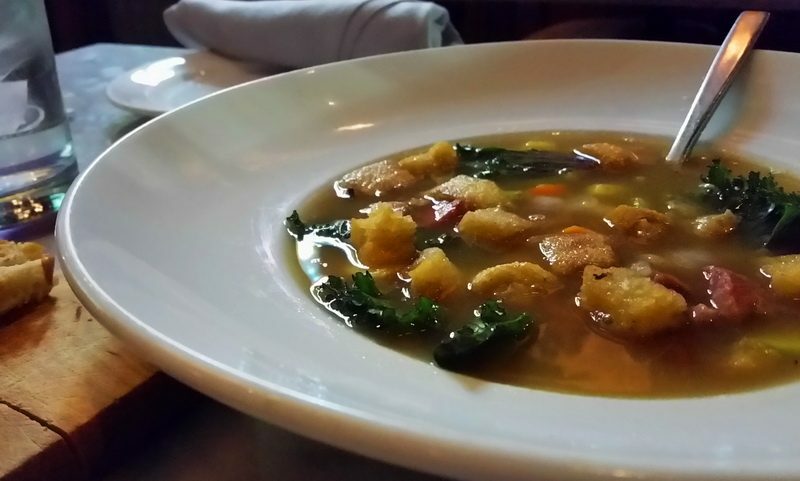 The soup at Anson11 looks delicious. I love the photo of the alligator statue. For a second, I thought it was real. What a great guide! Loads of great suggestions. How cool is that coffee box?? Thanks, Anna. Definitely a cool city to explore. El Paso looks way more upmarket than I expected. So happy that you threw in a Steakhouse at the end, I would have been disappointed to read a Texas food post with no mention of big beef! 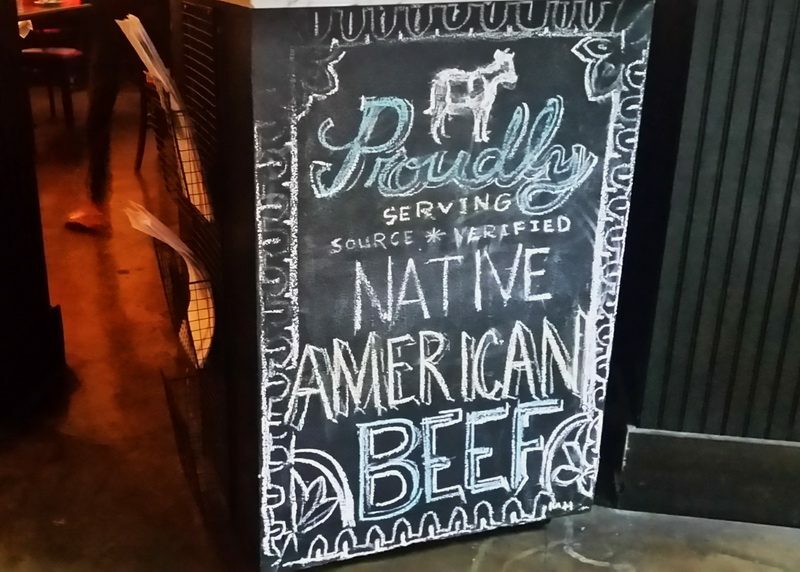 Big beef is definitely a thing around America. I like ‘little’ beef!